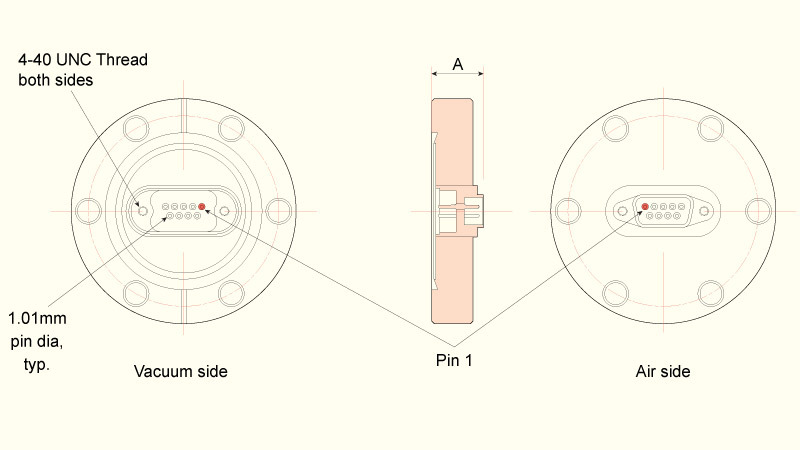 Multipin hermetic subminiature D type instrumentation feedthroughs are constructed with pin arrangements designed to meet Mil-C-24308 specifications. 9, 15, 25 & 50 gold plated pins are in a straight through pin-to-pin design and are hermetically sealed and electrically insulated in a stainless steel shell using the latest in glass-ceramic bonding technology. UHV cable assemblies with PEEK connectors and Kapton® insulated ribbon cables are available to meet the demands of UHV environments. Custom flanges and cables are available, please contact our sales office for further details. 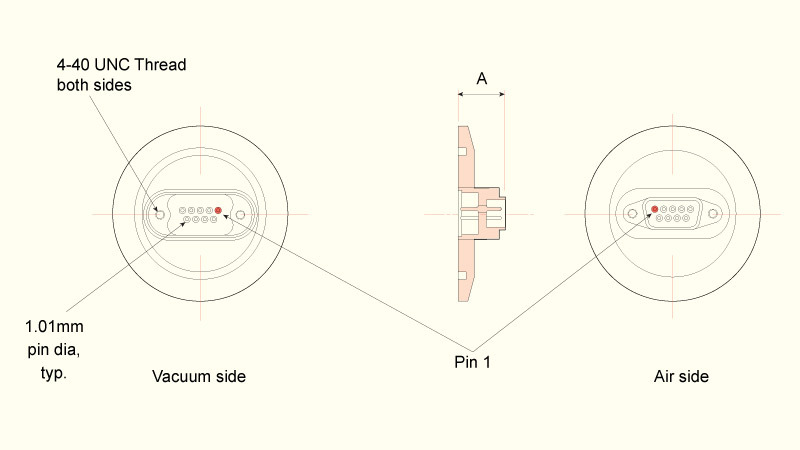 • 9 to 100 pin standard configuration. • High temperature rated to 250°C. • Kapton® insulated in-vacuum cables. • Air & vacuum side connectors available. 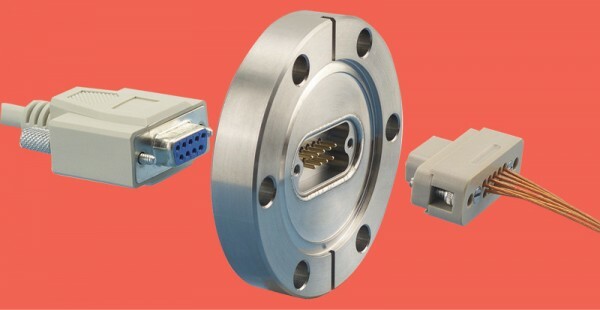 Connector, vacuum HV4  :  DAP / St.St. 1 - Please see catalogue section introduction for safety information. Stated electrical ratings are maximum test values. Feedthroughs are intended for instrumentation applications carrying low level signal voltages and currents. 3 - PEEK is a polyetheretherketone thermoplastic. 4 - DAP is a glass-filled dyiathilate.